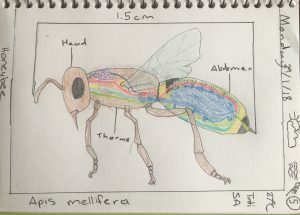 Bees are complex and facinating creatures which are vital for our survival. They pollinate our vegetable plants, fruit trees and grains. 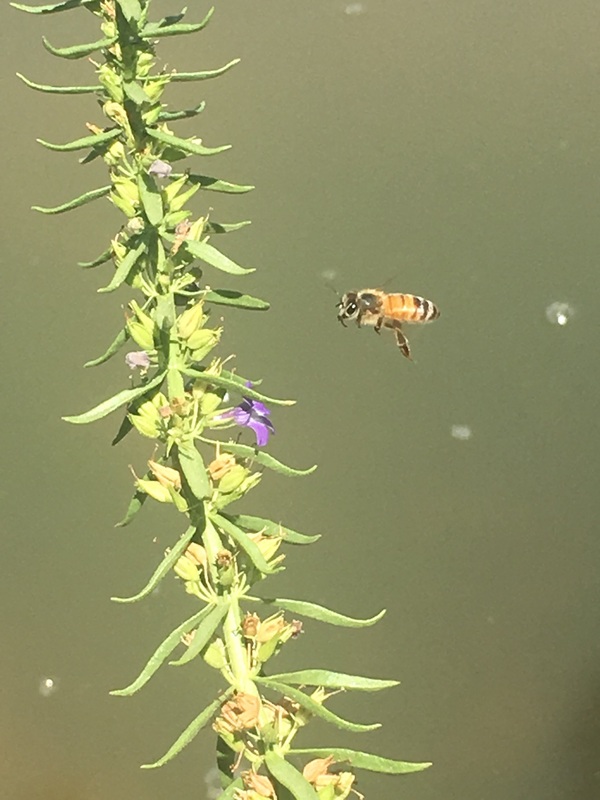 Every year, Apiarists, bring their honeybees to pollinate our grains and fodder crops on the farm. 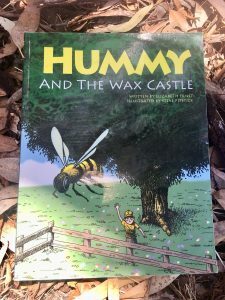 Beekeepers also know which plants and trees are flowering through the seasons and move their hives accordingly. 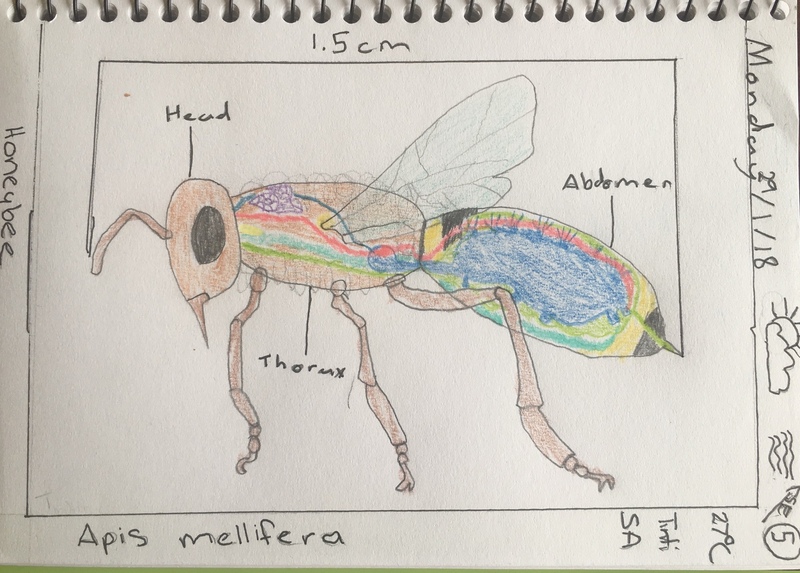 Australia has it’s own unique native bees such as the Blue-banded bee, Carpenter bee and Teddy Bear bee. Search this list to find out which native bees live in your state. It is not necessary to read all the suggested material. Choose the source you have on hand, visit the library or use the internet links. How you use this information may depend on your learning philosophy and learning style. You can prepare for the nature walk in advance by gaining knowledge yourself and share it as you are asked or opportunities arise, or you can read the information together before starting out to observe bees. 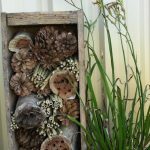 Read more about native bees at Backyard Buddies. Read the Wonderland of Nature by Nuri Mass, pg 71-77. 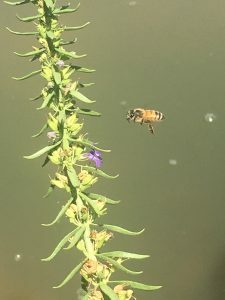 Explore outdoors for bees by locating flowering plants and trees. They should be busy buzzing, pollinating and collecting nectar. Observe them awhile. Can you see the honey baskets on their hind Legs? 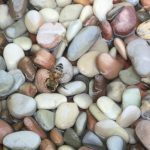 Are they honeybees or native bees? Prothorax and first pair of legs. Mesothorax: second pair of legs and first pair of wings. Metathorax: third pair of legs and second pair of wings. Leg: femur, tibia, tarsus and claws. Or simply draw the bee in it’s habitat. 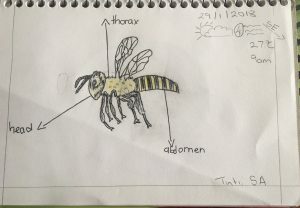 Sketch and note observations using this Bee Notebook Page. 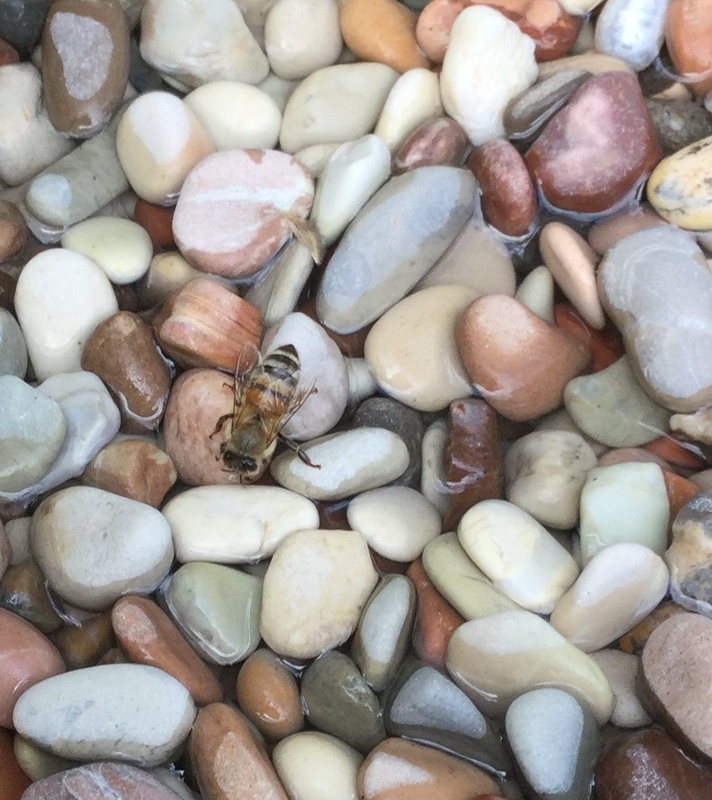 Create a bee bath by using a pot plant saucer and some pebbles. 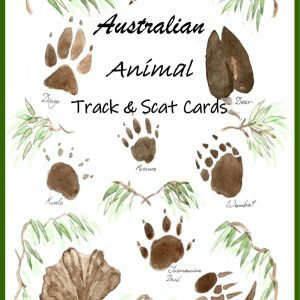 This is a quick and simple activity we enjoyed during our Honeybee Week. 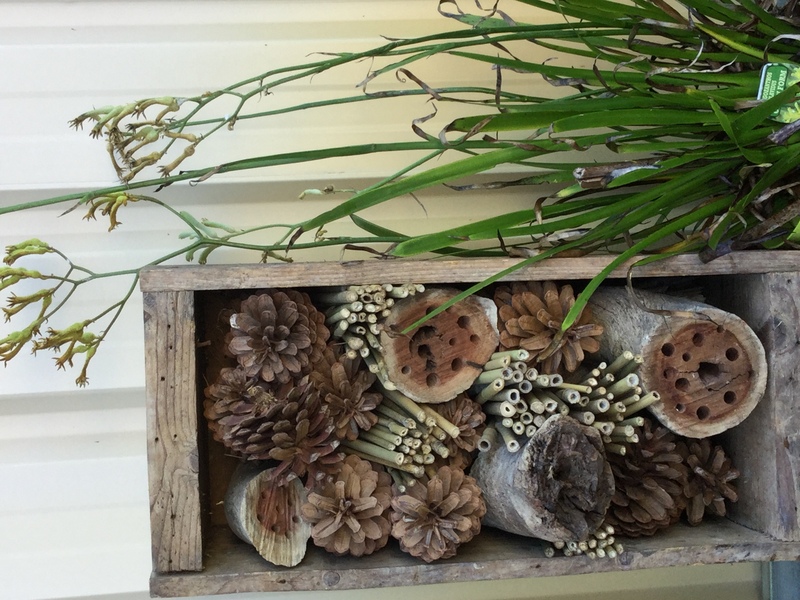 Another great activity is to make a bee hotel. We found an old box and a few small logs which we drilled holes into for the solitary bees to rest. We then filled the gaps with bamboo reeds and pine cones. Research which flowers you can plant in your garden to attract bees. Research and report why bee numbers are declining and how can they be helped. Find out why honey crystallises in this experiment. 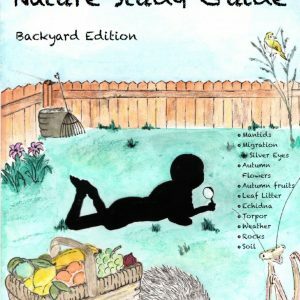 If you’d like to dig deeper into the study of bees and include poems, picture study, hymns and more activities into your nature study, consider the Australian Nature Study Guide V1 Trial Lesson.